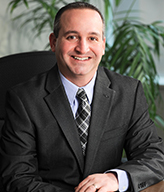 Craig is a trial lawyer with nearly 20 years of experience in a broad range of personal injury, governmental/municipal, automobile, construction, premises liability, products liability, professional malpractice, mass tort and commercial litigation. He has defended multiple individuals, companies, physicians/hospitals, insurance carriers and governmental entities in complex personal injury claims, and has assisted as National Coordinating Counsel (NCC) for multiple multinational corporations involving mass tort litigation. He has handled the defense of hundreds of personal injury actions ranging from jury trials, non-jury trials, and binding ADR hearings of various formats and arbitration hearings. Craig also provides business consulting and litigation services for general contractors and builders, including legal advice and counsel on business practices, drafting and review of commercial and transactional agreements, and assisting on related corporate projects.